Have you ever had a bad experience with a software upgrade? Do you remember the mess that was Windows Vista and the problems that it created for Microsoft? Various software companies at some point of time or the other face a similar scenario wherein a new software product launch does not go as planned and the company has to fire-fight to save its reputation. Additionally, organizations are forced to reinvent and transform themselves to handle the competition. Let’s look at some examples – Zendesk started as a customer service software company with a product focused on creating, logging, and tracking customer complaints. Today, Zendesk offers a suite of products that range from instant chat support, analytics, and campaign management. This transformation was not overnight. 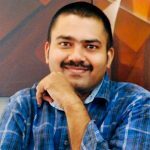 It was necessitated by the growth of a smaller firm based out of India – Zoho, which offered an entire suite of similar services at a significantly lower price. The next set of competitors have now arrived on the scene with Freshworks offering cloud-based software services, which are aggressively priced. There is no paucity of established players and startups offering software. The challenge for companies is to retain existing customers and acquire new customers. Today, with the explosion of social media and the transformation in the way we consume and react to news; it’s become increasingly difficult for companies across industries to manage the reputation of their brand. In this blog post, we examine the steps that software companies can take to drive and accelerate product adoption. How often have you hit your head in frustration because you were not able to figure out how to perform a specific action when using a software? Well, we have all been there at some point of time or the other. An ideal software should have an easy-to-use interface that has a prominent ‘Help’ or ‘How-to-use’ walkthrough that guides users and enables them to use the product with ease. People don’t have the patience or time to read a huge ‘Help Document’ and figure out how the product works. Users need just-in-time and on-demand eLearning nuggets that help them address their queries at each stage of their user-journey. Visual walkthroughs work better than just plain text. Invest not just in designing a product but also creating useful, engaging, and informative in-product walkthroughs. Yes, no one likes spam. But do not discount the worth of a well-written, targeted, and personalized email campaign. Gone are the days of buying databases from dubious websites and sending an email blast using a fancy template. Modern digital marketing focuses on personalization and treating each potential email address as a lead and potential customer. LinkedIn has made things easier for digital marketers by offering opportunities to reach out to relevant professionals through InMail. It is essential to do a keen study of your recipients and customize your email to them. Email Marketing is not dead. It has evolved with the times and still plays an integral role in acquiring customers and driving product adoption. There are some restrictions when promoting one’s products using channels like Facebook, Twitter, and Google Ads. With ad-impressions being served without relevant leads advertising online can be frustrating at times. So how does one promote one’s product and company without hassles? Your organization’s website, the product-specific website, and app are great places for you to market your services with intelligently placed banner images, animated clips, and in-app promotions. Look at any popular vendor of software solutions; they make good use of their digital landscape and promote their products efficiently. The ‘corporate blog’ is another oft-neglected section of websites that is rarely put to good use. Invest in a content team that can produce content that helps highlight your products/services and shares the content on your blog effectively through your social channels. Don’t just restrict yourself to articles and essays, produce engaging videos and publish infographics that can drive traffic. In addition to in-product training solutions, it is important that you create a full-fledged product training solution that stays up-to-date with each upgrade cycle of your product. If your product release cycles and product training content are not in sync; you risk losing your existing customers. It is important that you assess and examine your product training to see if its relevant and revamp it as and when required. We are at a fascinating juncture in the technology space where social media plays a key role in helping brands and users connect. Customer service and accountability are at a different level when complaints are posted on social platforms. It is important for organizations to leverage the power of social media effectively to drive product adoption. In the past couple of years, HubSpot has used social media effectively to drive product adoption and is now one of the most trusted inbound marketing and sales platforms in the market. 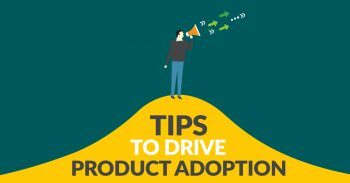 What are your thoughts on driving product adoption? Do share your tips in the ‘Comments’ section below. Origin Learning Solutions Pvt. Ltd.
A content management professional with over 13 years of experience in helping brands win in the digital space with effective copy. Passionate about eLearning, Technology Trends, Cinema, Crime Fiction, and Poetry.